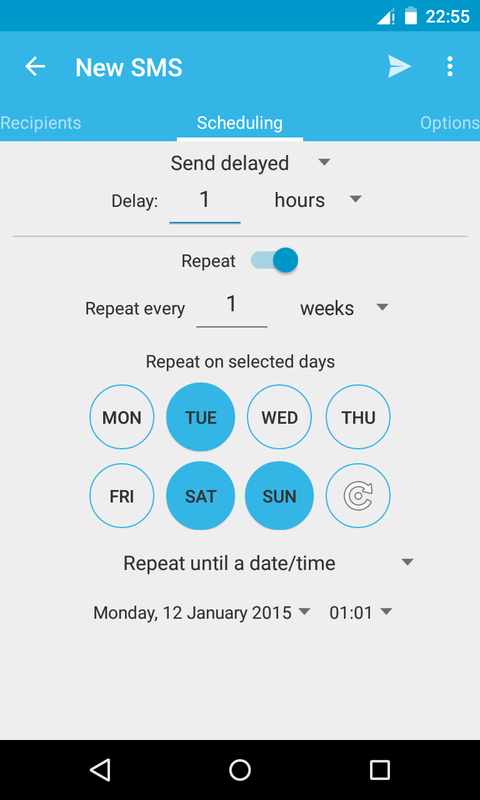 MsgFlow is an Android application for scheduling and repeating SMS without any restriction. Since Android 4.x, the number of messages sent from an app are limited. To fix it, root your device and search for apps in Google Play that removes this limitation. Caution: rooting a device make it vulnerable! 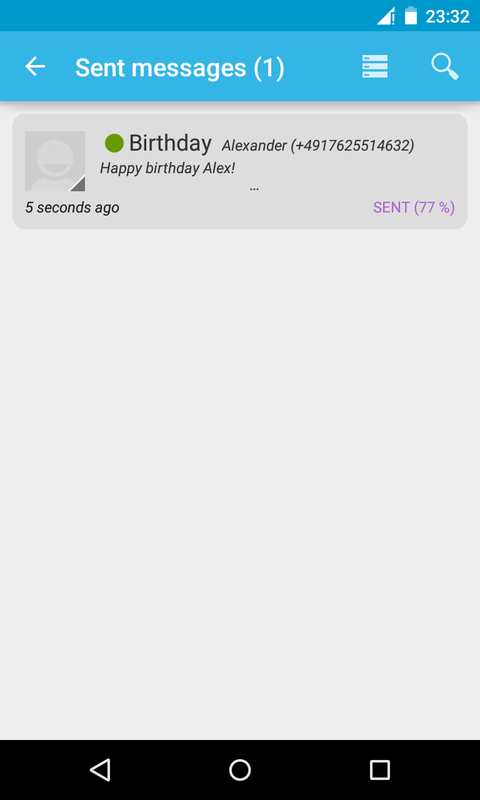 Since Android 4.4.2 (Kitkat), ALL sent SMS are saved automatically in your discussion threads. 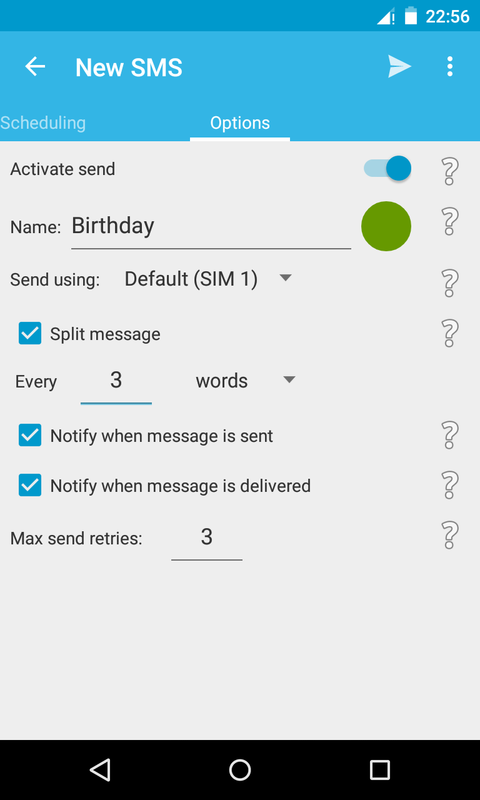 Moreover, the default SMS app will split every long SMS into small ones but they will be really sent as only one (bug from the stock SMS app). 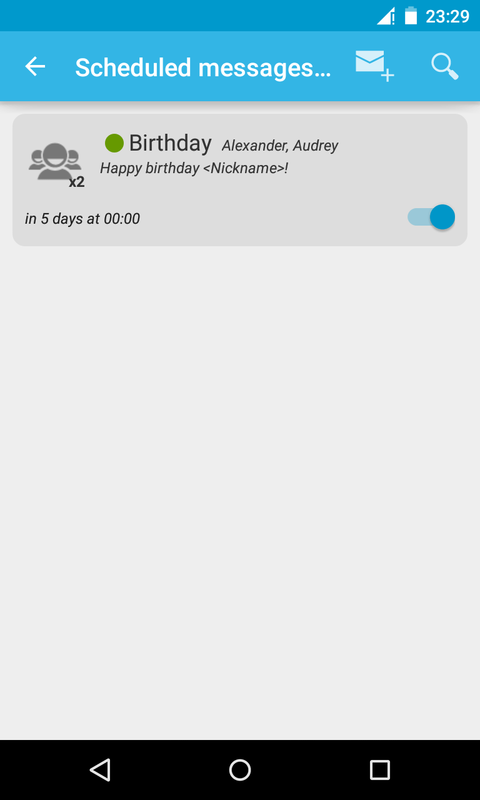 On Android 2.x and lower, when using a custom language, it is not applied to the home screen. To fix it, rotate your device. JoMegaSoft shall NOT be held responsible in any way neither for the use you make of this software nor for any software issue. Wenn Sie die App nicht installieren können, gehen Sie bitte in den Gerät Einstellungen, dann in "Sicherheit", drücken Sie auf "Unbekannte Herkunft", und versuchen Sie erneut die App zu installieren. 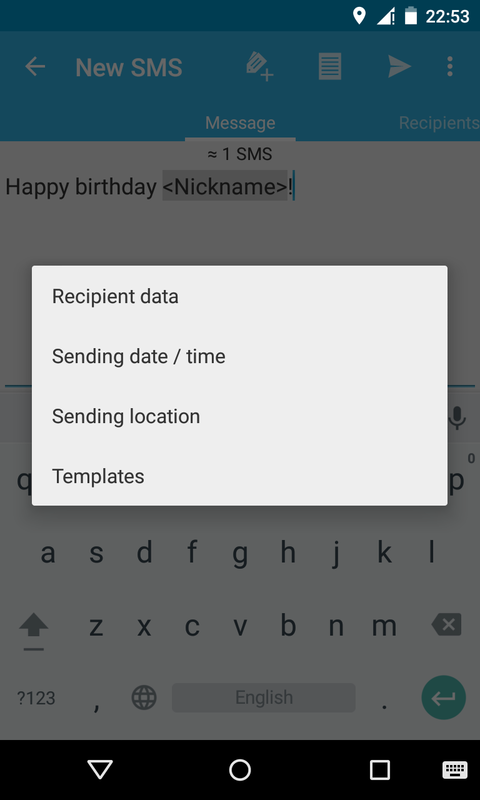 Used only when you add a location extra in a message (can be (de)activated anytime, default is deactivated). Checks the Internet connection state before server calls. Checks for your license and available updates. 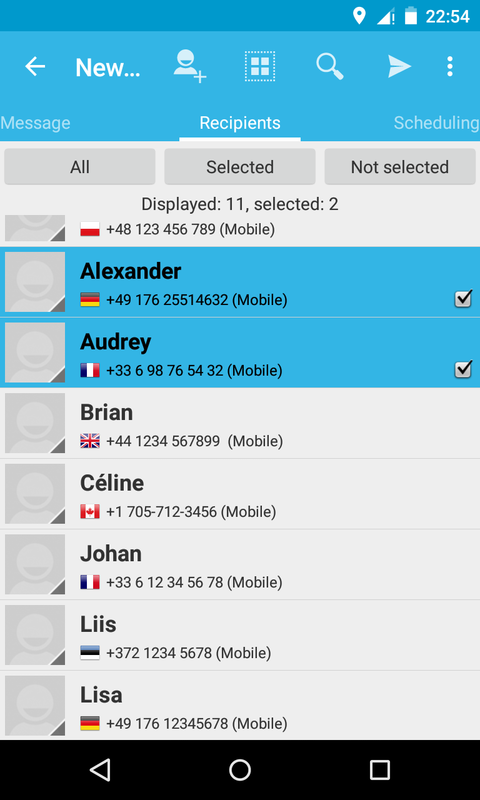 Displays the contact list with their phone numbers. 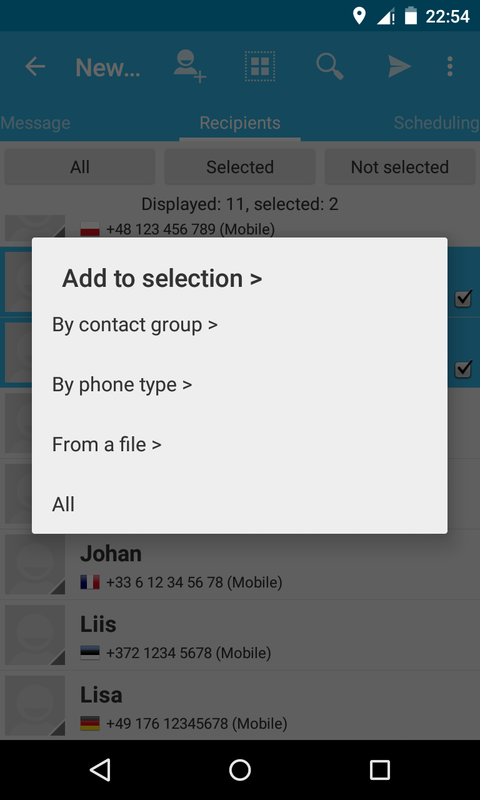 Needed on new devices (Android 5.0+) before using network. No additional information is read by this application! 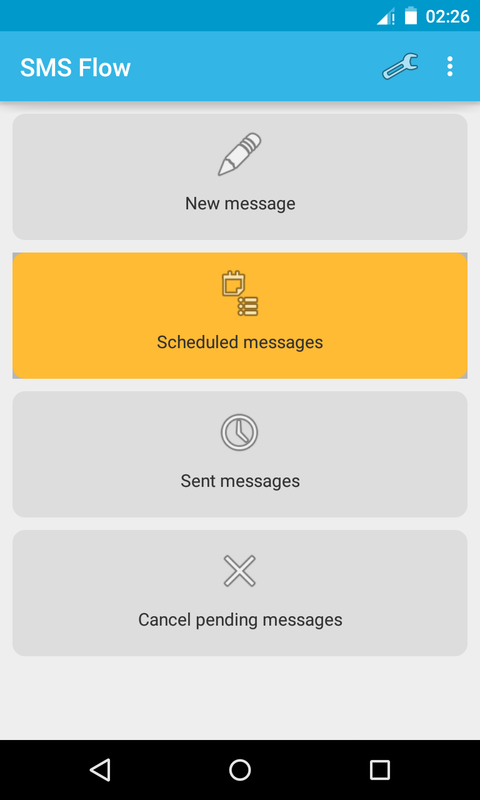 Launches the background job to send scheduled tasks on time. Sends the scheduled SMS messages. 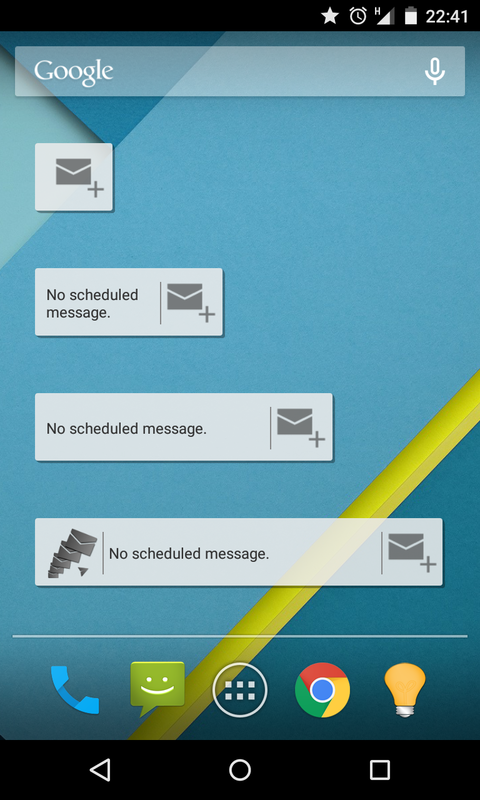 Wakes up the phone's CPU in order to send the messages (the screen remains off). Released as soon as possible to reduce battery consumption. Backs up scheduled/sent tasks on the external memory.